For those who know the material of VFT over the years, you'll always be prepared for another twist in the tail. He has brought along his own dark eye perceptions mixed with VFT's futurist psyche-outs to produce something that would suit any femme fatale. This album is for those of you who have an interest in the classic 'fllm noir' from The Third Man to Pulp Fiction. Subject matter touches on eroticism, the pain and pleasure of love, jealousy, paranoia, obsession, passion; the darker end of the spectrum. The final observation comes from the actress Marlene Dietrich "Men gather like moths to a flame - if their wings get burnt I'm not to blame". Dark Amour for those who love to the limit. 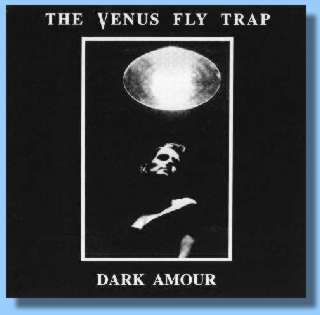 "Dark Amour" They just get better everytime, they've gone from belng a kind of alright 80s Goth rock band to a rather tasty and very much original high flying dark wave black psychedelic experience that drips with positive X factor... This, their latest offering mixes bits of Psychic TV at their most creative with hints of The Velvet Underground, very very dark sparse, almost ambient Hawkwind, Type O Negative without the really obvious imagery Type can fall for, Black Tape For A Blue Girl, even a bit of those dark haunting bits Huge Baby can get in to when the mood really takes them over, maybe a bit of The Sisters if they'd really wanted to push it In a black psychedelic direction..... Futurist psyche outs, paranoia, obsessions, passion.. classic 'film noir' for your ears to explore... forget everything you ever knew about Venus Fly Trap, their last release was good, this is radiant. Perhaps the production of Attrition's Martin Bowes has brought something extra out, another very fine twist or two, Nothing is very obvious, everything is forward looking, If Pink Floyd had been a dark wave band, if the sun really was black, if Webcore had got their textures sorted out and made a record as good as their live shows. The Venus Fly Traps finest moments by miles and miles and miles... well beyond any pigeon hole. There's so much tension in some of the things they're doing here. Did I mention Killing Joke, this is where Killing Joke might have gone if they'd followed the Love Like Blood route through and well beyond the other side. Highly recommended and a genuine surprise. The new recording from Alex and the VFT boys finds them playing around with an immense and diverse range of influences, from the western guitar sounds of 'Pulp Sister', to the eastern promise of 'Decaying Orbit' as well as the barrage of guitar, techno and industrial styles which are all displayed on the album. The main ideas behind 'Dark Amour' lie within the film noir genre, and Alex strives to express the darker images through his music, which he does incredibly well. And with this album having been produced by Attrition's Martin Bowes, you just know that is one release you shouldn't let escape you. Wow, how does one decribe this? Very dark, atmospheric, grinding, unusual, industrial? gothic? science fiction?, I could use about every word I found in the dictionary nothing would help me describe what I am actually hearing, the kind of album that would sound great on a horror sound track. That sort of vibe is what's going on here. Who are Venus Fly Trap you ask? Well apart from being relatively (shamefully) unknown in the UK, they have been building up a solid base in mainland Europe. The main mover of the group is one Alex Novak, and it is he who answers the following questions. Alex also runs the series of compilations/fanzines entitled Bizarre. He also finds time to record music under the name of Nova State Conspiracy (now changed to Nova Galaxie Robotnik). 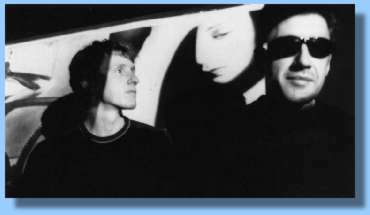 Their last album Luna Tide drew on a more rocky sound, combining elements of The Doors, Nick Cave and The Sisters to name but a few. Their new album (Dark Amour) has been produced by Martin Bowes of Attrition fame and it promises to be another shift in direction. With the band promising to become more active in the UK, this is your signal to tune in, Read on,.."
Could you give Interference a brief historv of vour career? Do vou have a preference in what you do e.g. producing Bizarre. recording/plaving with Venus Fly Trap/Nova State Conspiracy? A/N: No preference, they all have different aspects. Venus Fly Trap is the main driving force behind the other activities, but Bizarre has been a useful tool to help my projects and also to help others in return. Nova has provided an outlet for my interest in electronic music, which doesn't fit in the Venus Fly Trap framework. Also they feed off each other, there's a lot of interesting interactions. There's a very futuristic aspect to all of your work 'sort or Blade Runner-ish'. Is this something that interests you? A/N: Well, I'm fascinated by Sci-Fi, space travel and technology. That's what set us apart from a lot of other bands, our inspiration comes from this century, the present and the future. You design all your own artwork, is this an important aspect to your finished product? A/N: Considering that three people in the band are designers of one sort or another, it's a perfect position to interpret what's going on musically visually. How happy were you with Luna Tide? Because it was a big shift in sound compared with other earlier recordings? A/N. Lyrically I tune into general events, also I'm fascinated by European history and politics and how it has shaped the present. And as I mentioned before Sci-Fi, also I like films a great deal. Musically everyone has an input that's what keeps our ideas fresh, because they come from a lot of different places. You're a hard band to find any contemporaries with, is this how you'd like to be thought of? A/N: 1 know the problem, it's very difficult for people to pigeon hole us. I guess it's not easy in a marketing sense, but what the hell is music about but crossing genres or even making your own. But saying that, we do have a 'dark psyche'. Live dates in the UK are very scarce. but you still seem to play in Europe. why is this? Do you prefer playing in Europe? A/N: Well it's the way its worked out, we get offered reasonably good conditions to play abroad, I mean the general conditions in the UK for bands is pretty dire, but we're not averse to playing the UK if someone makes us a reasonable offer! Where do vou see Venus Fly Trap heading in the future? A/N: We're going to be playing a lot more I think the general profile of the band is going to be a lot higher, we'll see. Would you like to expand Bizarre to include a compilation CD? A/N: l'd like to do more but due to financial constraints I do what I can. But yes some sort of compilation CD would be nice. Not at the moment though. You cover all aspects of music in Bizarre, do you think it's important to have an open mind to what's going on around you? A/N : Yes, considering that most underground music gets no major press exposure at all. We need to be working together and not making musical ghettos. What are your own favourite bands at the moment? A/N: The stuff I listen to is pretty wide, but current faves include all the kitsch space age batchelor pad music, Pulp Fiction soundtrack, Sleeping Dogs Wake, Die Form, Die Krupps, Sabotage, Tea Party, La Floa Maldita, Missed In Diary and so on. Tell us about your newest sideline Nova State Conspiracy (now Nova Galaxie Robotnik). Also how did you and Simon Coleby get toether? A/N. I met him while he was based in Northampton, and we had a mutual interest in electronic music. There weren't too many people who knew anything about it, so we decided to do some music together. Simon was already dabbling with recording his own material already. So that is how Nova State Conspiracy came together. Due to commitments with Marvel Comics (as he is comic illustrator) and the fact that he moved to Lowestoft has ended his involvement with Nova. Paul from Terminal Power Company also got inlvolved while we were writing the track THX138, which he coutributed to, but that was all. The name of the group has now been changed to Nova Galaxie Robotnik and I've recruited some new people. The only new material released so far has come out via compilations. How would vou like Venus Fly Trap to be remembered in years to come? How did you use the three years break you had between Luna Tide and Dark Amour? 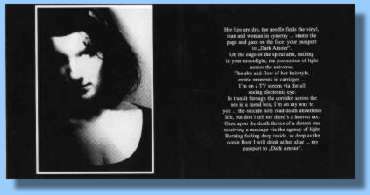 Alex Novak - Luna Tide came out in late '94 early '95 and a lot of the period has been taken up in promoting the album via reviews and interviews. Also we've toured extensively in mainland Europe including Belgium (5 times), Germany (4 times), France and Poland. 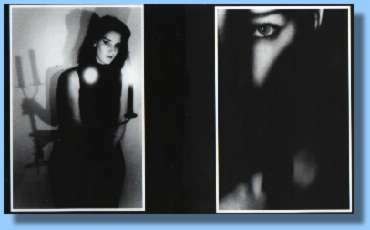 During that period I was doing a degree in photo- graphy at University, doing exhibitions in Derby, Coventry (94), Northampton (95) and Bruxelles (96). Plus I was also producing the fanzine Bizarre. Luna Tide sounds more like pure rock music than Dark Amour which is more involved in gothic and industrial. Can't you chose between those styles from an album to another? Martin Bowes (Attrition) produced Dark Amour. Which are the common points you feel between The Venus Fly Trap and Attrition? AN - I used to be with Attrition and performed on the album Smiling At Hypogonder Club also I've known Martin for a long time. But attitude wise were similar. We have a very independent view on producing music, finding our own way, defying genres and classification. I think we both strive to come up with something original, leading rather than following fashion, doing music we like to do! Your live album Jewel has been in Prague. Do we have to understand that Eastern public is more receptive to your music than we are? Do you feel your self closer to this part of Eorope? Which is your feedback to your European tour before releasing the Luna Tide album? AN - The feedback was good, we did dates in Belgium and Germany and reached some new places in the Eastern part of Germany and our first visit to Poland (the reaction was enthusiastic). Also some great festivals in Belgium and in the North of France. During four years you were signed to Danceteria then to Spectre and finally to Soundbuster. Is the perfect agreement an utopia? AN - Bands relationships with record companies is always difficult, ask any band they will tell you. 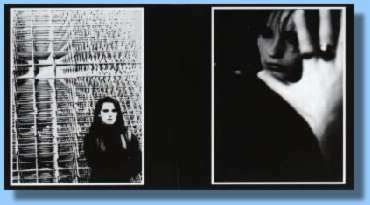 With Danceteria we had a very productive relationship releasing four albums; Mars, Totem, Pandoras box and Shedding Another Skin (a collection of singles) before they became bankrupt. Our release on Spectre was a one off, the guy who ran the label had so many other projects. But Alex from Soundbuster is a real fan of music, he knows the alternative genre well and works hard to promote what he likes. So we'd like to do more material for label. We'll see how Dark Amour goes. You are also working on the Bizarre FAN-zine. The word 'fan' is very important here. How were you contaminated by the virus of making and speaking about music? AN - The reason I started Bizarre was I got fed up of the music I liked not being covered in the UK. So I started the zine to promote music I liked and it has been useful both for my projects and as a way to help others. Bizarre is a quite various fanzine. Do you expect the future of VFT in that way? Apart from Bizarre and VFT what are your other activities on the musical scene? AN - At moment I have an electronic based slde-project Nova Galaxie Robotnik - we changed the name and line-up from Nova State Conspiracy. We're looking to release an album sometime in the future when we have a deal sorted out. You seem to have an undisturbed personnality. The kind of guy who never runs after success but who sometimes think about it drinking a fresh beer; the kind of guy who thinks that the Internet is cool but let's see tomorrow. Am I wrong? AN - I've always been open to new ideas and technology - to me then are Still 'tools' to get accross your ideas - the internet opens up a lot of possibilities, a way of reaching a lot of people very quickly!